Very Veggie Breakfast Shake | Robert Mitchell Jr.
Here’s another breakfast and/or recovery shake that’s 4HB/Slow Carb Diet compliant (as far as the ingredients go anyway — on 4HB drinking calories isn’t encouraged). You’re going to say this sounds disgusting. But if you like tomato-based veggie juices you’ll like this one. I promise! 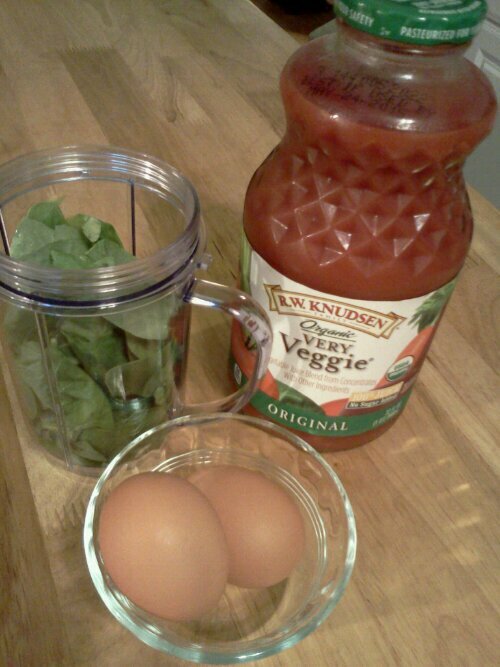 This entry was posted in Green, Martial arts and tagged 4HB, breakfast, knudsen, shake, slow carb, veggie. Bookmark the permalink.